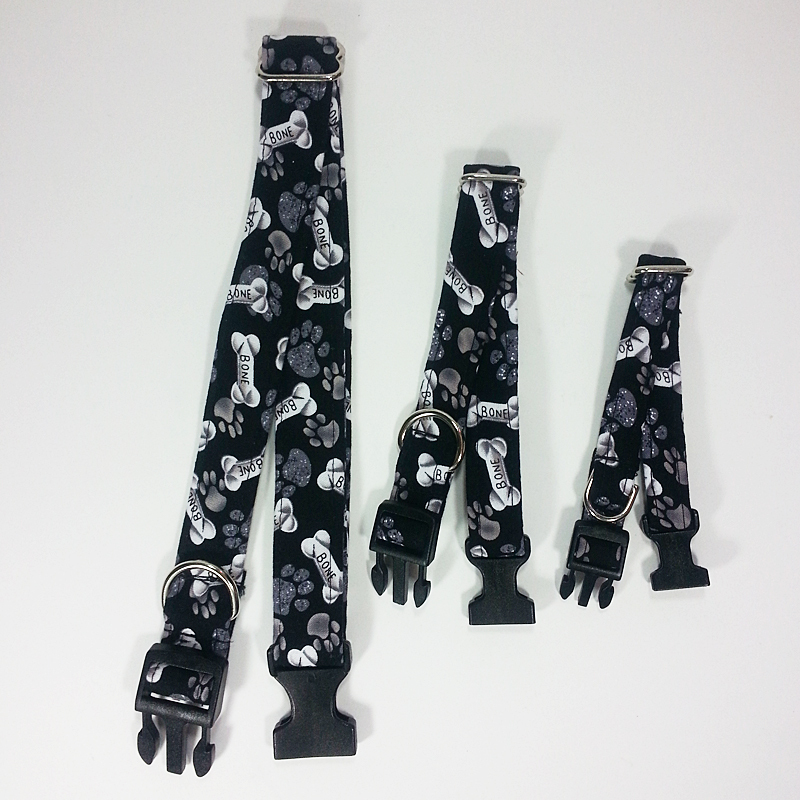 UDogU Adjustable Collars are fashion statements in themselves, as they are made by covering a strong webbing with one of our "High Fashion" fabrics. 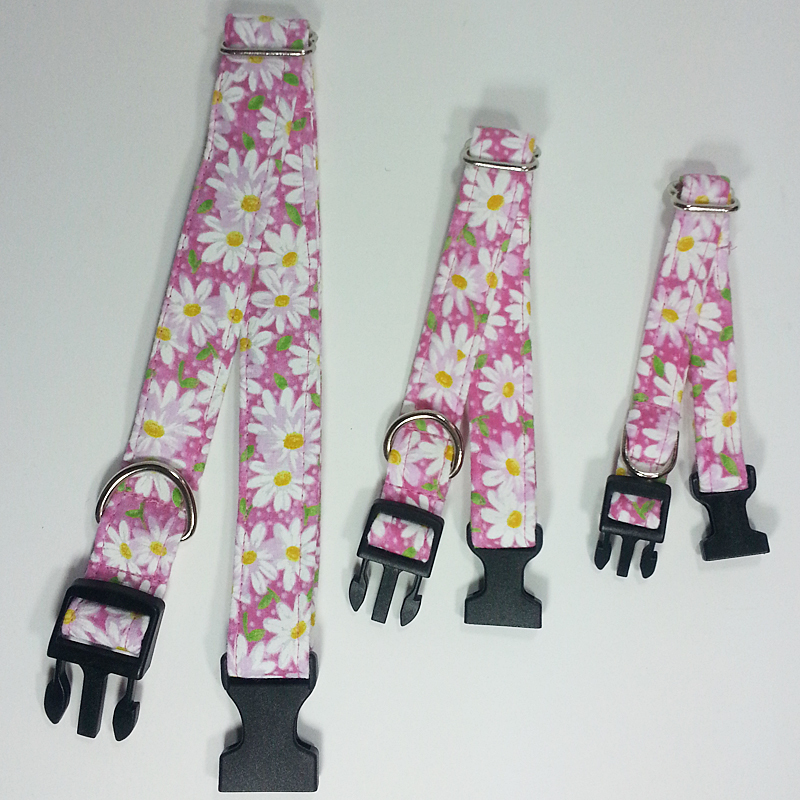 The collars are equipped with a "curved" plastic side-release buckle, for your pet's comfort, and a metal D-ring and adjusting slide, for accurate sizing. 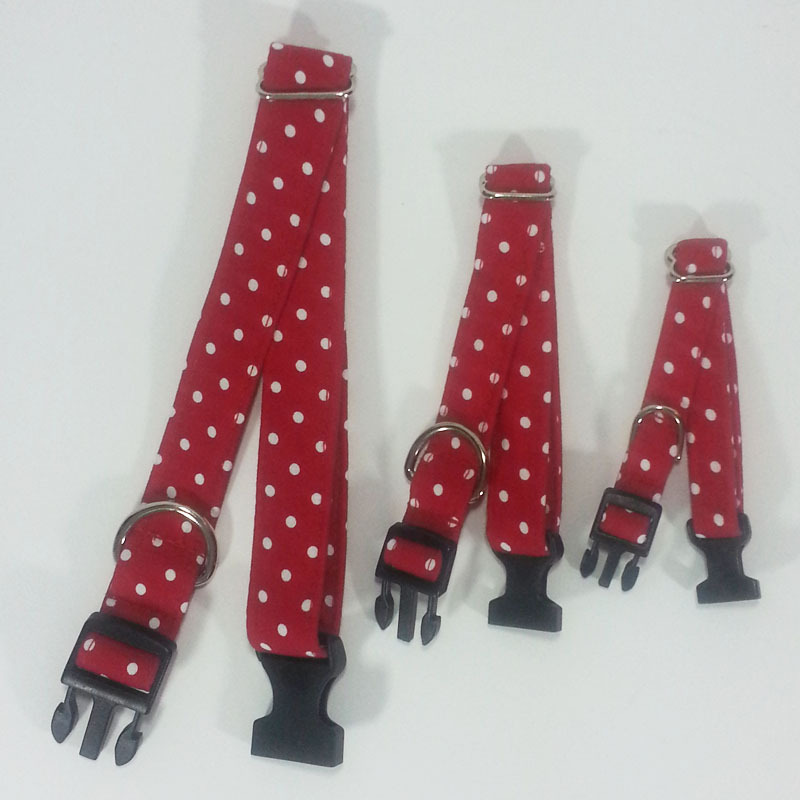 The collars are machine washable (line dry) and are available in several adjustable sizes. 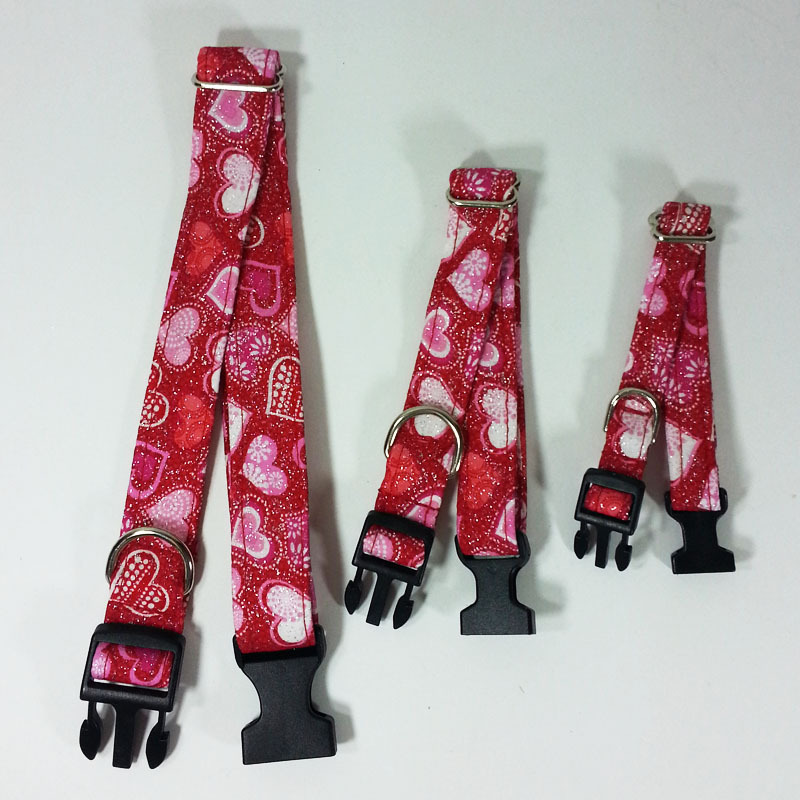 Our Small Collar is 1/2" wide and adjusts from 8-12" in length. 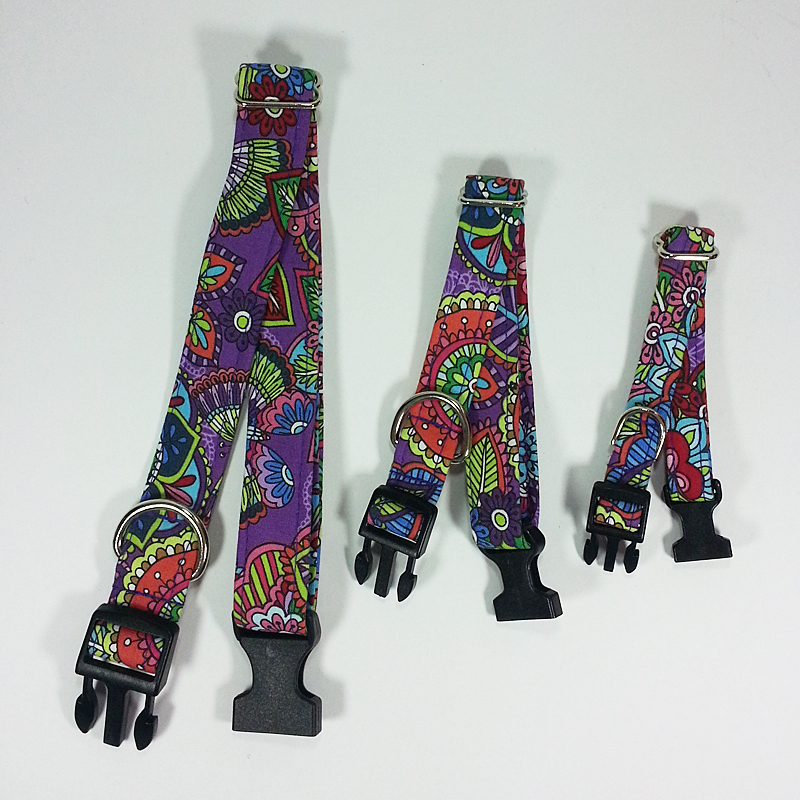 Our Medium Collar is 3/4" wide and adjusts from 10-16". 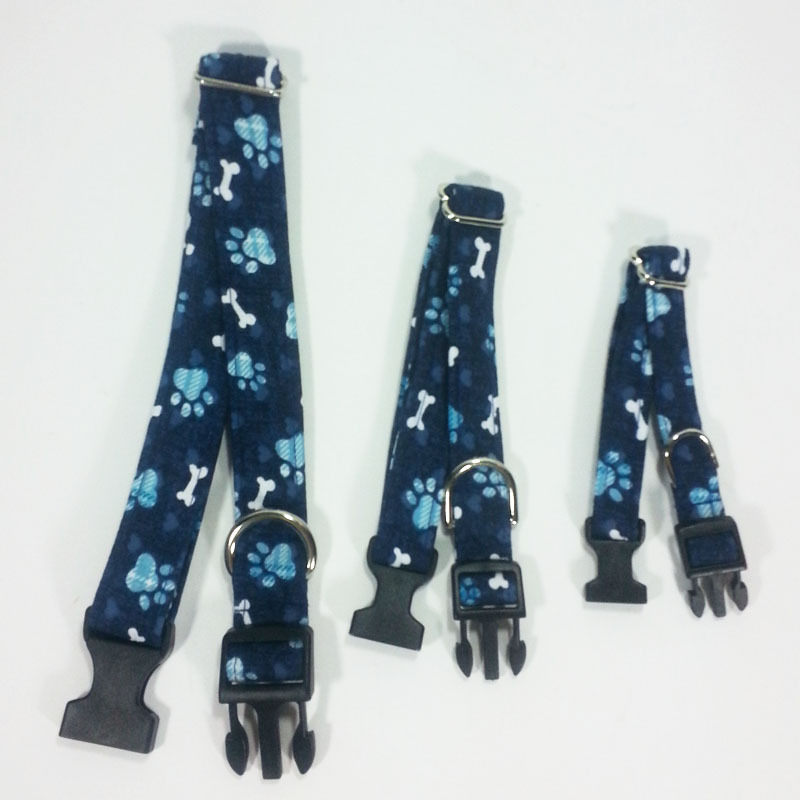 Our Large UDogU Collar is 1" wide and adjusts from 15-24". 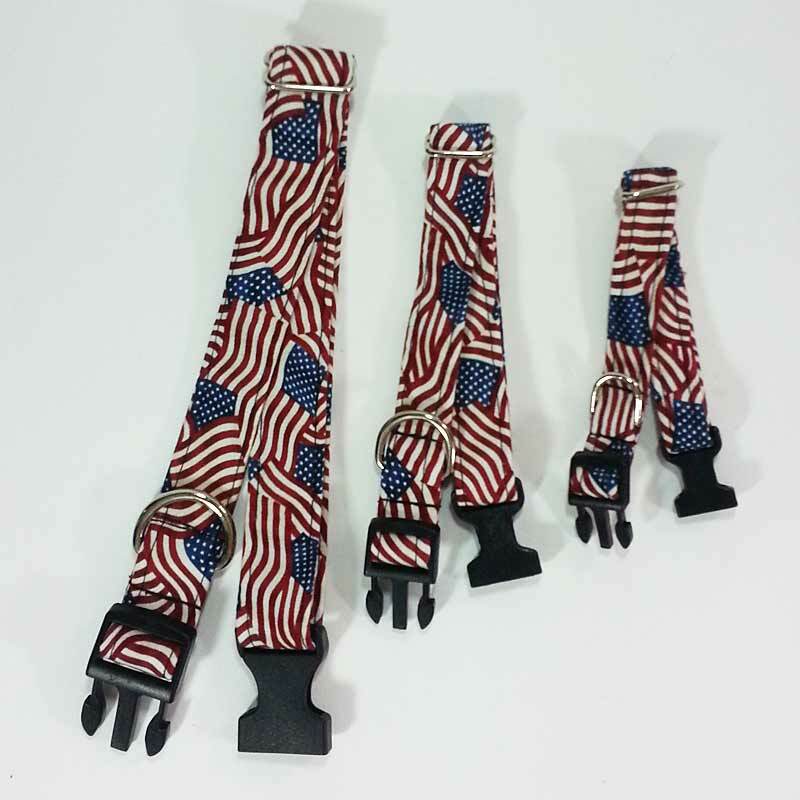 Our Extra Large Giant Collar is available by special request; it adjusts from 18-32" and is made of 1" webbing. Read more testimonials from UDogU customers here, and consider writing one of your own! "Thank you for the lucky collar. Joy won 1st place both days. Day 1 a perfect score and yesterday only 5 points off from perfect. 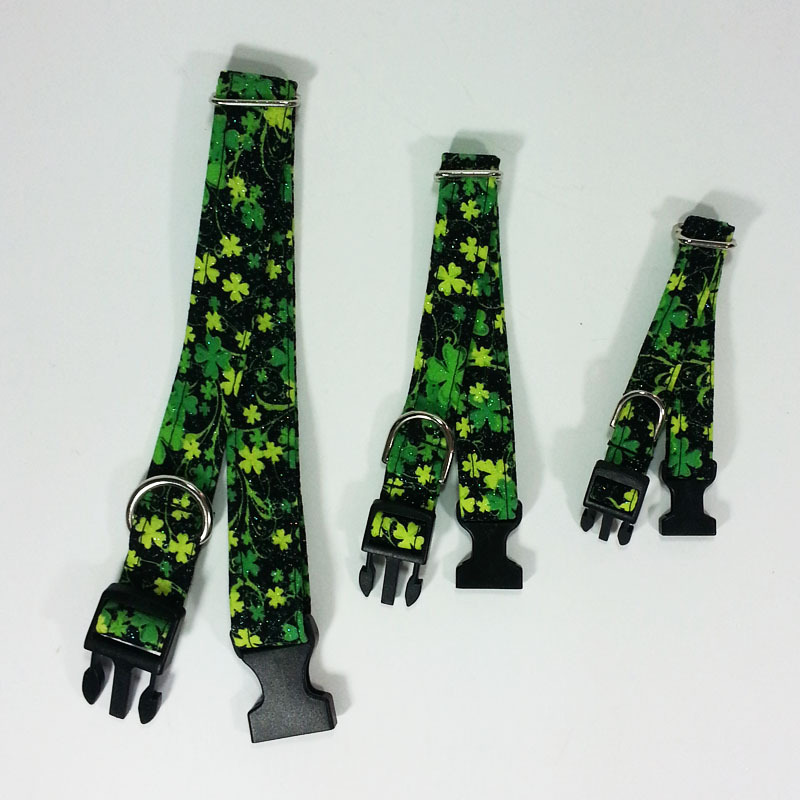 I know it was all about the udogu magical shamrock collar. :) Big Hugs!" - J.&J. 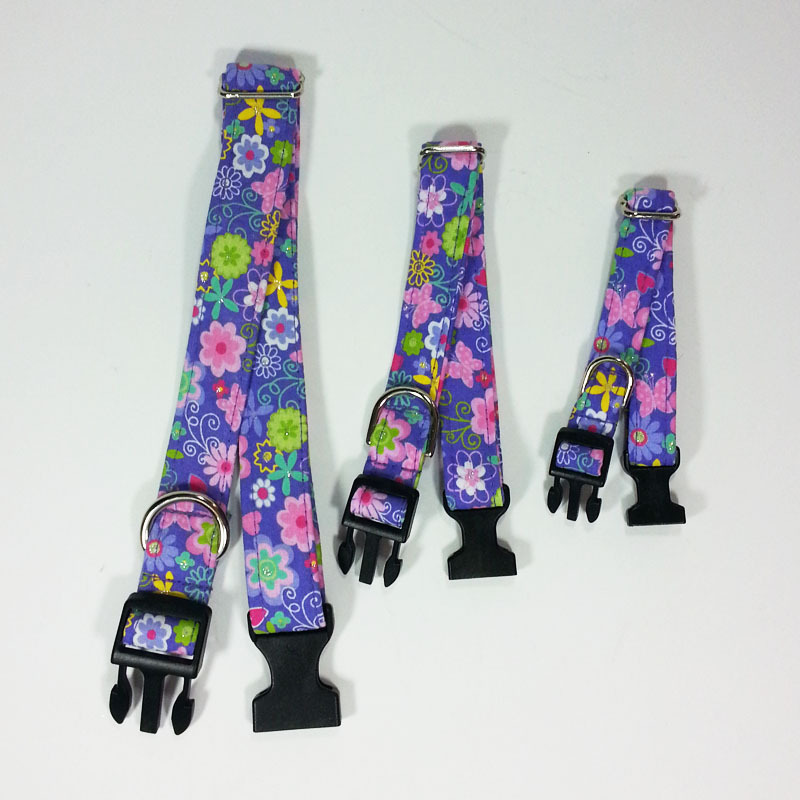 "Hi there, I got my boy dog's purple cheetah collar a few days ago, and it is so adorable I am getting this one for his younger girl playmate. ... I just love your stuff!" - J. 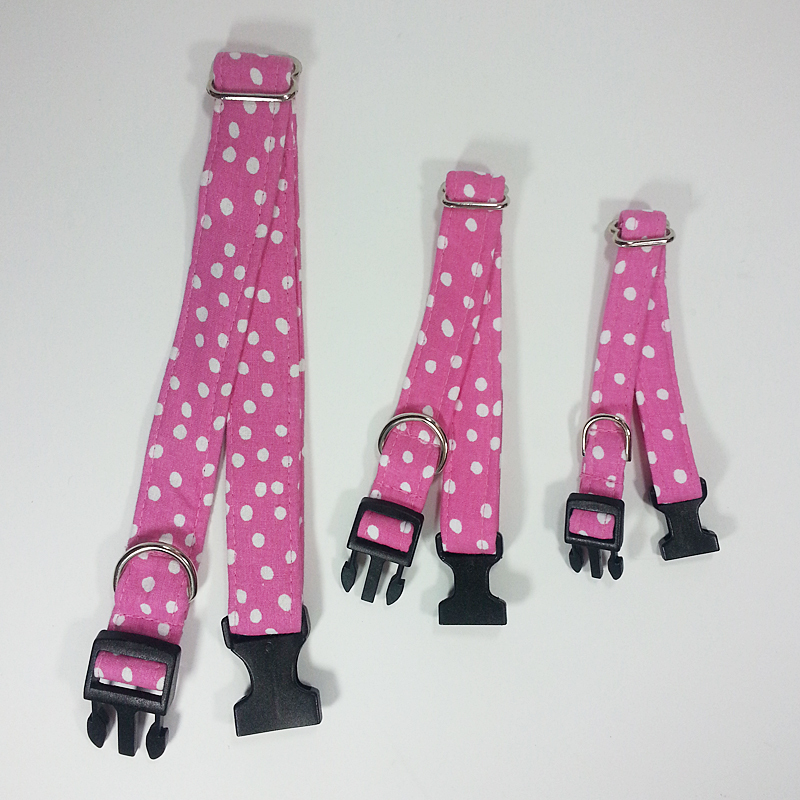 "Just received the "bright dog" collection for my "baby"... I really love the collar ... it's not the real skinny kind that you usually have to get for tiny dogs. Thank you soooooo much for your great products!! ... P.S. Thanks for such fast delivery!" - M.D. "Tinkerbell loves your collar. She wears it all the time!" - H.L. 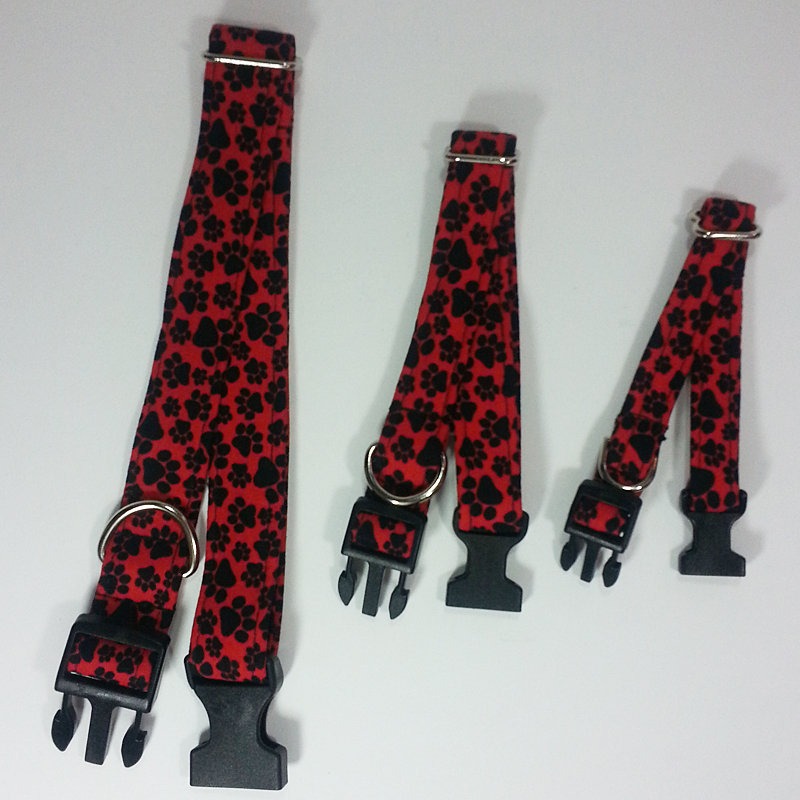 You will be able to select the proper size after you choose one of our Dog Collar designs.